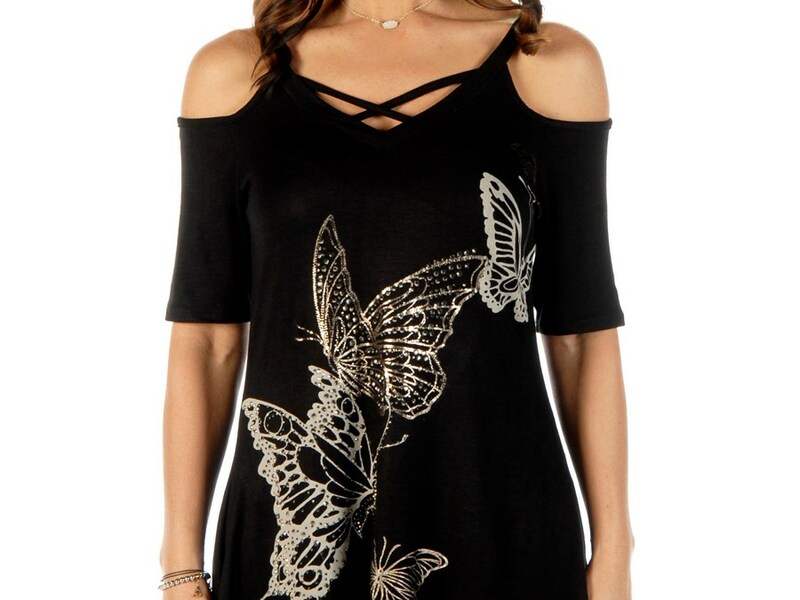 You will feel and look so special in this butterfly tunic. 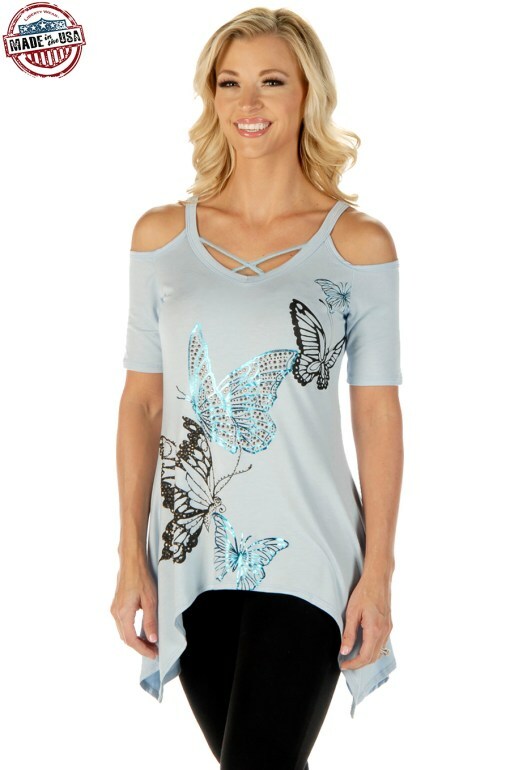 This sharktail shirt is accented with a criss cross above the v-neck as well as foil treatment of the butterflies. 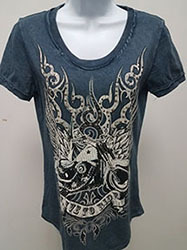 Silver crystals adorn the butterfly wings. 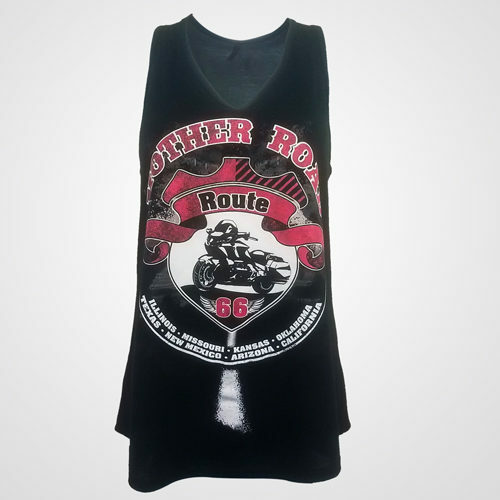 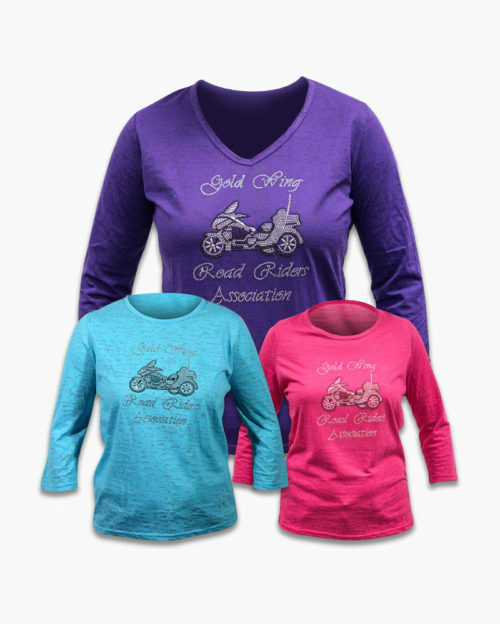 A wonderful flattering shirt.